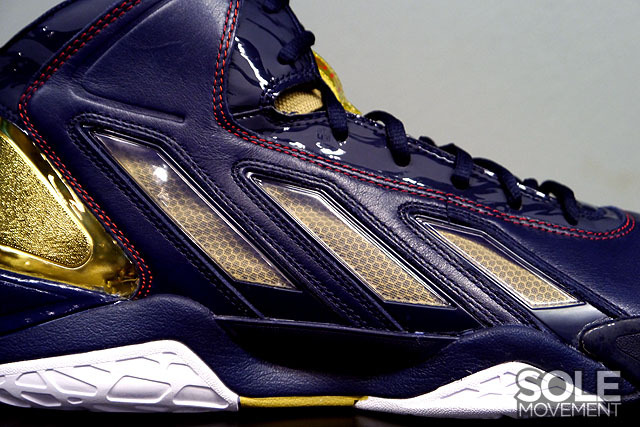 Another Olympic adidas Basketball shoe that didn't quite make it to London. Like Derrick Rose, Dwight Howard was sidelined for the Olympics due to suffering a season-ending injury earlier this year. 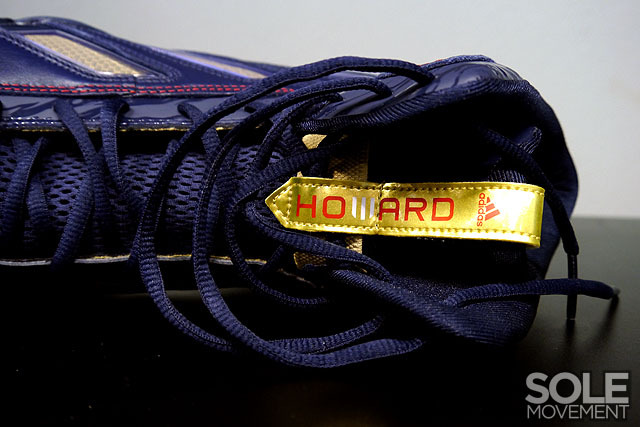 Also like Rose, Howard was a lock to make the team and would have debuted his new adiPower Howard 3 signature shoe this summer. 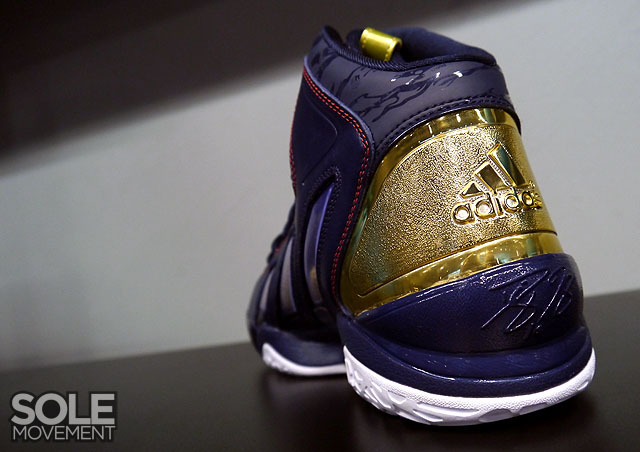 In addition to a white-based Olympic game shoe, adidas had a special "Gold Medal" edition ready to roll out. 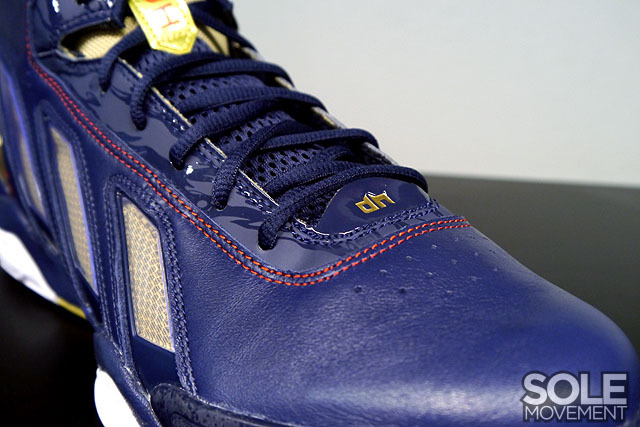 The "Gold Medal" Howard 3 sports a navy leather upper with a red contrast stitch along the side panels and eyestay. Metallic Gold works the tongue detail, heel counter and mesh underlay that lies beneath transparent 3-Stripe branding. Navy continues down to the midsole and sits atop a white and gold rubber outsole. 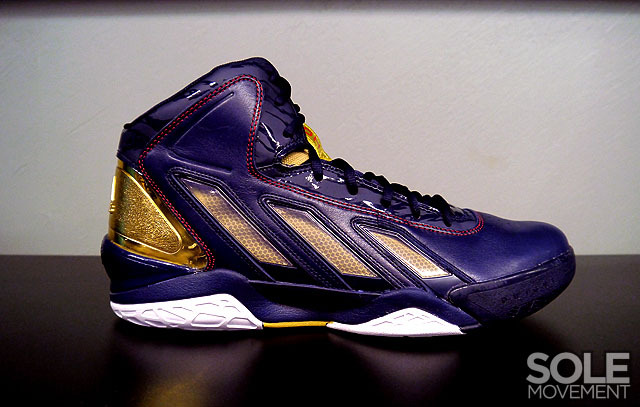 Though not officially released stateside at the moment, the "Gold Medal" adiPower Howard 3 has started hitting shelves abroad.